Book anytime for Half Hour to Power with Purity! Due to the success of Half Hour to Power, we are now modifying the booking system, so you can now book in for HHTP on any Monday, so long as there is space. Rather than waiting for next available block. With HHTP you have to commit to succeed, and the 5 weeks is ample time for you to get into a routine of a 30 min power workout once a day. 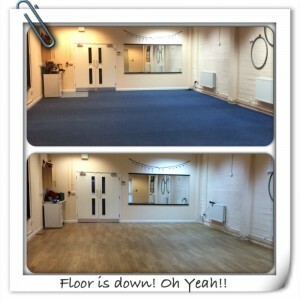 If you are not sure if HHTP is for you, then you can now have a 1 week taster, £10 for 3 x 30 min classes. This is only available once per person. We use high intensity interval training, to get the most out of the work out in a short amount of time. Low and high impact options are given for all moves, meaning you can work out as hard as you can, and at your own pace. 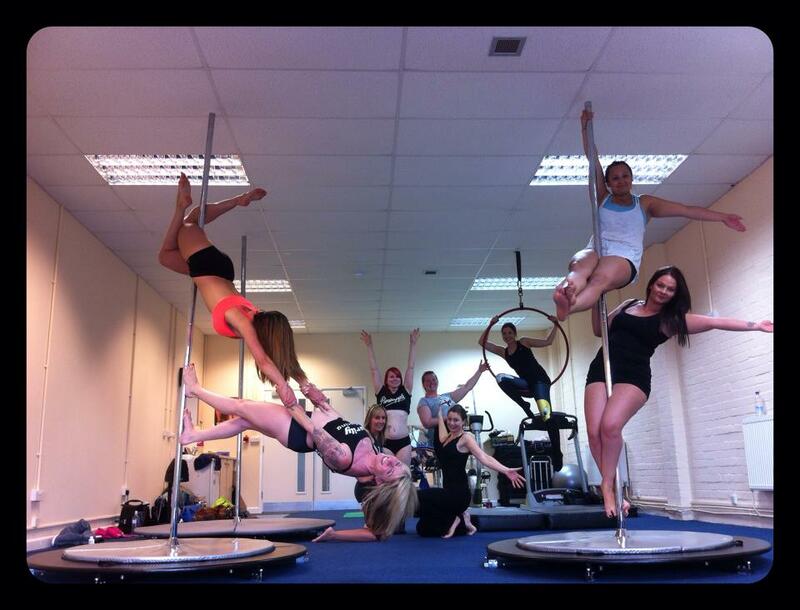 As the classes are kept small, they have a lovely team vibe, with a maximum of 12 participants, ensuring good technique is carried out. To follow your increase on fitness, the fitness tests will be once every 5 weeks on a Saturday, these are free to those booked on for either Silver or Gold. It is not compulsory to do the fitness test, but you will notice more changes doing the fitness test, the increased fitness will motivate you more. 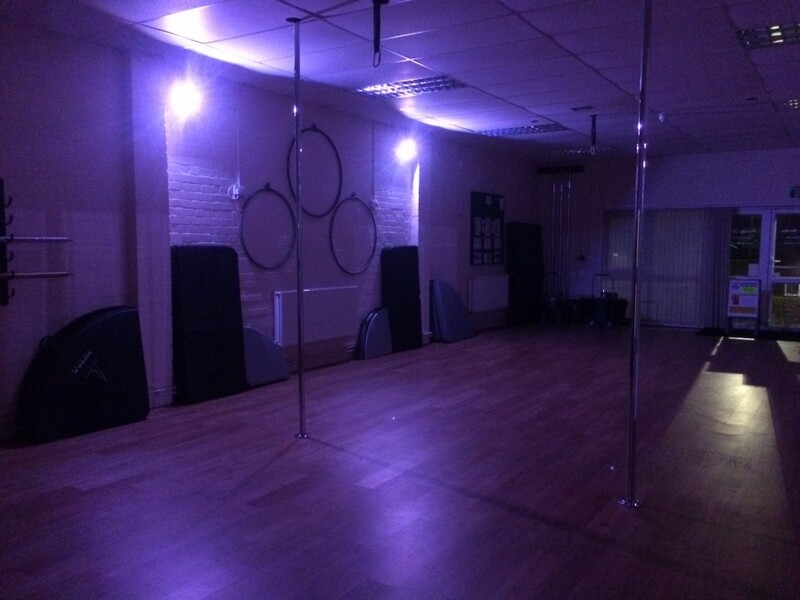 HHTP can be addictive though, the first one launched on Monday 3rd November 2014, at 6pm and so far everyone has been rebooking, new participants have joined, and we have had to open up a later time of 6.40pm to accommodate everyone. Click here to book on today, and start Monday! Results of Half Hour to Power! The results are in for the 1st round of Half Hour to Power! In the past 5 weeks we have seen inches lost, weight loss, and fitness levels have dramatically increased! On the very first fitness test, many opted for the easy options of the moves, but after building up strength, technique and balance, on the last fitness test, many have doubled their reps on certain moves, not only that, but they have doubled them using the harder options! The chart at the bottom shows the result from each person. Half an hour 3-4 times per week, may not sound like long, but because we are using intense bursts of interval training, our bodies react faster, meaning a quicker result! 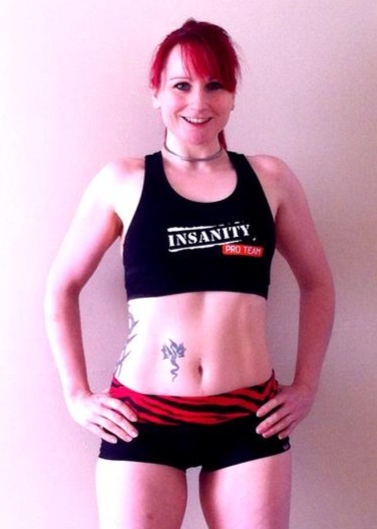 All of the previous participants are now hooked, and have been booking up to keep their fitness over the Christmas holiday. If you want quick results, in a small friendly supportive class, then Half hour to Power is for you. NEXT COURSE STARTS ON MONDAY 5TH JANUARY 2015! 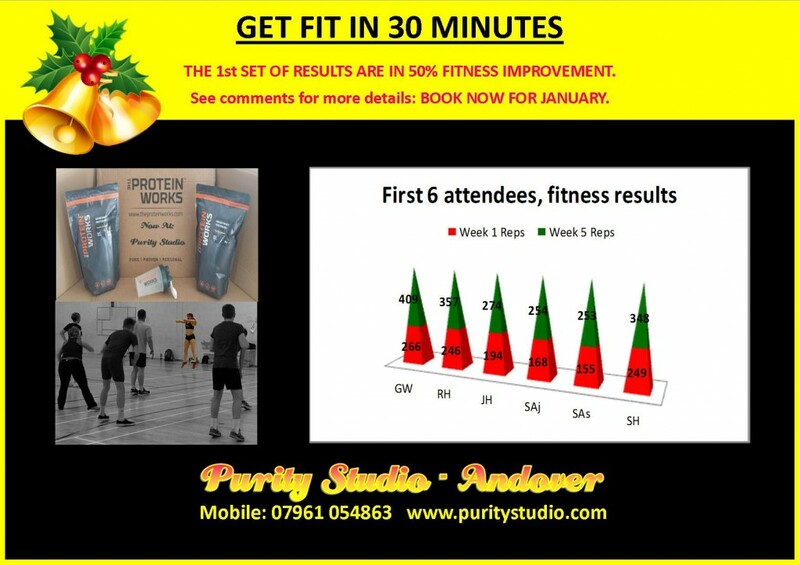 Purity’s HiiT course, Half Hour to Power will be running a 2 week taster starting on Monday 8th December. A great way for you to see what the 5 week guaranteed results course is all about. 3 classes per week as a minimum, out of the 4, Mon-Thurs at 6pm in Andover. Gold Package = £50 (Up to 8 classes in total, plus protein and nutrition advice. Half Hour to Power is bookable here. 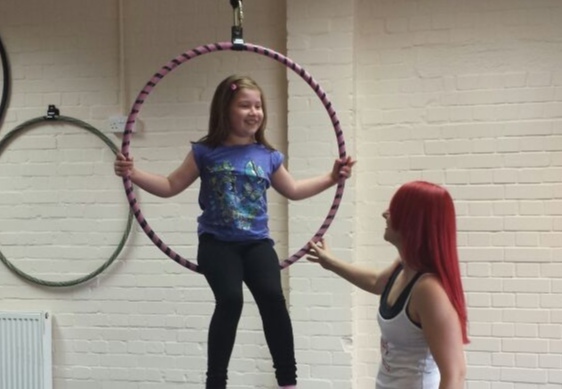 Our first term of Kiddie Aerial Hoop is set to end on a high, with the Christmas routine to Let It Go, from their favourite film, Frozen. Tasters for 6-10 year olds, will be on Thursday 11th December, with the new term starting on Thursday 8th January, all bookable here. Protein for Half Hour to Power! New from Purity is Half Hour to Power (aka HHTP)! 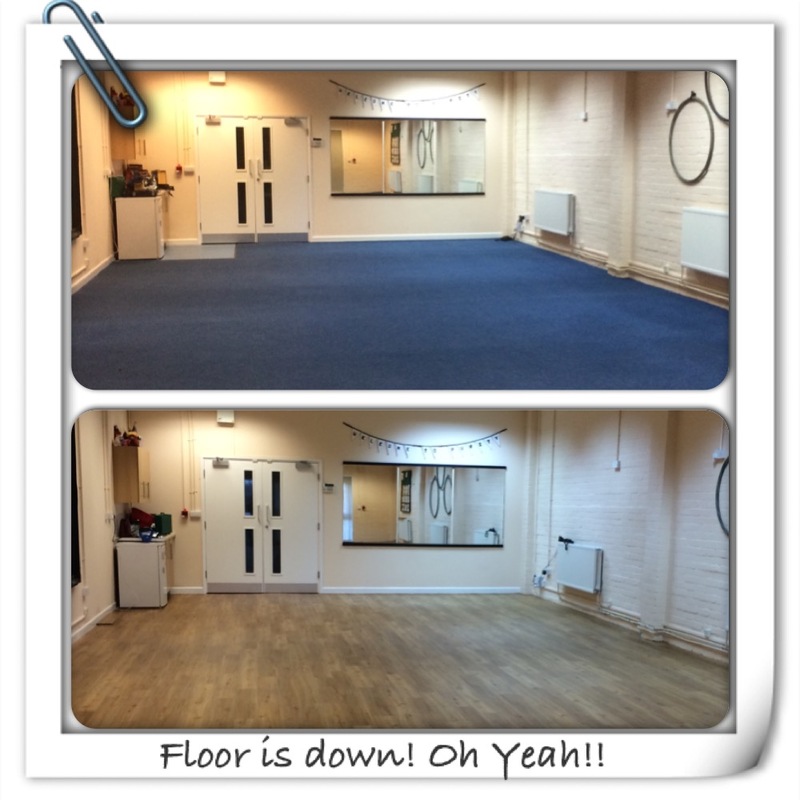 A 5 week course with guaranteed results, to make you look and feel better, all in 15 x 30 minute sessions in total! 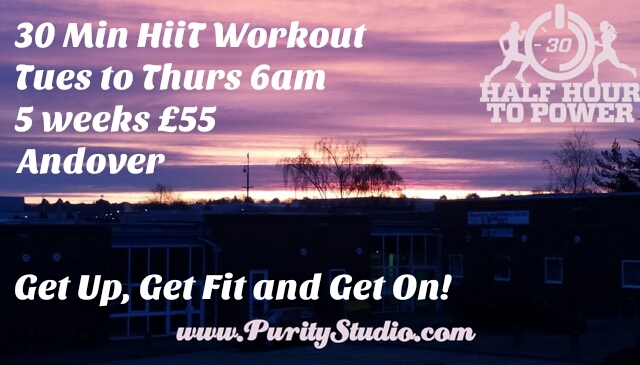 HHTP runs at 6pm Mondays to Thursdays at the Purity Studio in Andover, the next block starting on Monday 3rd November 2014. Maximum of 10 students in a class, to ensure safe technique on all moves. Everyone can benefit from the new to fitness people or the athlete, as modifications for each move is given out. You work out using interval training, making the plyometric and strength exercises achievable. If you commit to 3 out of the 4 days per week, you will get results in only a 30 minute workout! 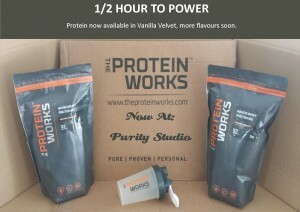 We have now had our first delivery from The Protein Works, which is Vanilla flavour. This is included within the Gold package for £95. I recommend this protein powder over any other, as the ingredients are very minimal, and it is sweetened with Stevia, rather than the dangerous Aspartame or Sucralose which have been linked to cancer. Surely you can make the time in your day, all you need is Half Hour to Power! 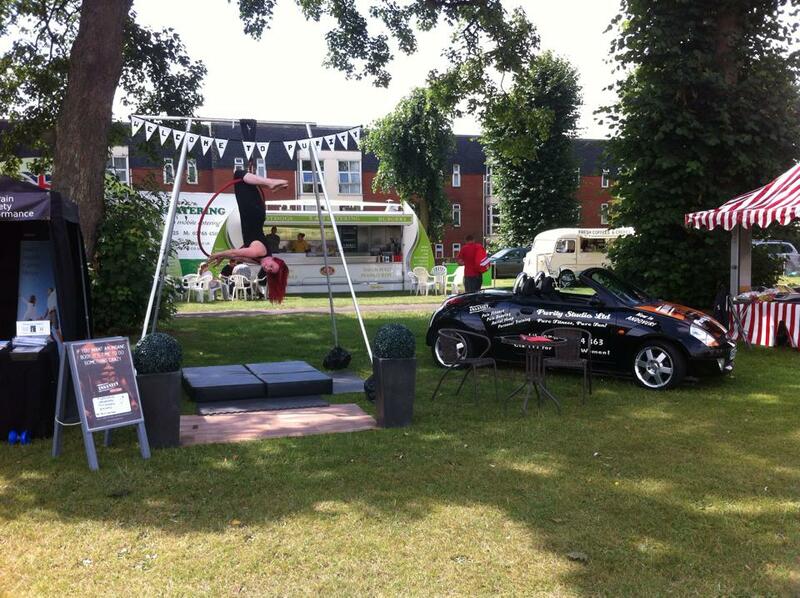 You have have seen that Purity Studio had an Aerial Hoop set up at The Andover Carnival 2014. It was a long day, as we were there from 8.30am until about 8pm, introducing many men, woman and children to the circus art of Aerial Hoop, also known as Lyra. So many had never heard of it, or seen it, but I was amazed to see so many give it a go. We had a total of 12 adults and 20 children try it. The youngest children were 6, and the oldest was a 79 year old man! I hope I can still use an Aerial Hoop when I am his age! The sun was shining all day long, making the Andover Carnival very popular. 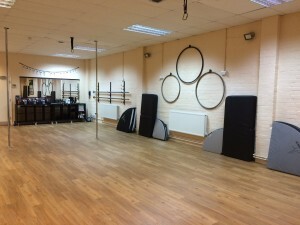 More people now know there is a new dedicated dance and fitness studio in Andover, running pole dancing, aerial hoop, pole fitness, Personal Training and INSANITY classes right on their door step. Small classes, so there is plenty of instructor time, and students can progress fast. 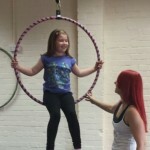 I will be starting children’s Aerial Hoop classes from September 2014, please contact Jolene through the site, or on 07961 054 863 to register your interest, for these new lessons.